The Lagos State University, LASU Staff Promotion and Assessment Exercise for the 2017/2018 Academic Session Has Commenced. This is to bring to the attention of the University Community that the 2017/2018 Staff Assessment Exercise has commenced. While Annual Performance Evaluation Report [APER] forms had been released across Faculties, Centres Units and Departments for Non-Teaching Staff for completion and further processing, Academic members of Staff are to note that steps are being taken by the Appointments and Promotions [Academic] Committee to review the method of assessing and weighting of Academic Publications to reflect true scholarship by members of staff. However, irrespective of this, Annual Performance Evaluation Report forms would be released in time to avoid any negative consequence on Staff. The University Management assures that the Promotion of Staff is taken as priority and is being treated as such. 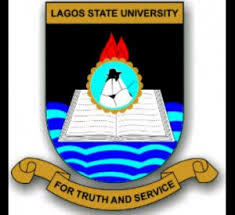 In other news the Vice Chancellor, Professor ‘Lanre Fagbohun has appointed Prof. Ishaq Lakin Akintola, Department of Religions and Peace Studies as the Head, Department of Religions and Peace Studies, Faculty of Arts, Lagos State University. The appointment is for Three (3) years, with effect from Thursday, 19th April, 2018 to 18th April, 2021.